NCIS Actresses Support Michael Weatherly After His Sexual Harassment ClaimsHis Bull co-star, Eliza Dushku, was awarded $9.5 million due to his behavior. CBS’s Toxic Culture Isn’t Just Behind the Scenes. It’s in the Stories It Tells.The message of a show like Bull is clear: Men are in power and women are disposable. 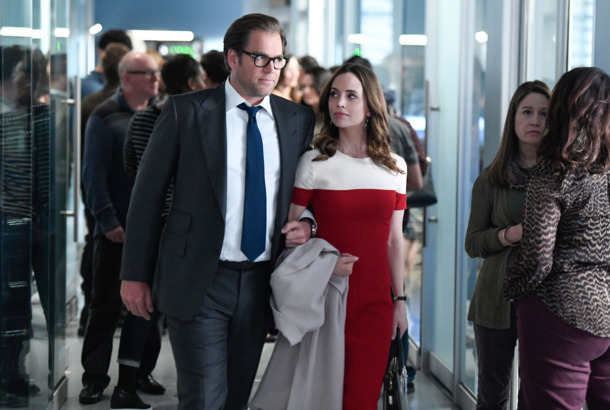 CBS Settled With Eliza Dushku for $9.5 Million Settlement for Harassment on BullThe actress claims to have been written off the show after speaking up for herself. Eliza Dushku Recalls Her Most Unexpected Fan EncounterThere’s a time and place. You Can Now Buy Matt Smith’s Leather Pants From MapplethorpeSay no more. Arnold Schwarzenegger Responds to Eliza Dushku’s True Lies Assault AllegationsSchwarzenegger says he is “shocked and saddened” by the allegations, but “proud” of Dushku for coming forward. After Eliza Dushku’s Allegations, Other Women Accuse Joel Kramer of MisconductEliza Dushku claimed that stunt coordinator Joel Kramer molested her on the set of True Lies when she was 12 years old. James Franco Will Play Robert MapplethorpeIn Mapplethorpe, from producer Eliza Dushku. Fox Finally Pulls the Plug on DollhouseIt’s not like this comes as a complete shock to anyone. Maurice Sendak to Children, Parents: Pee Your Pants and Go to HellPlus: Should ‘Dollhouse’ be canceled, Eliza Dushku is already lining up her next gig. Dollhouse Season Two: Whoa!One of these things looks a lot like the other. Joss Whedon Has No Plans to Fall for His Leading Lady, Eliza DushkuPlus: Henry Rollins has some out-of-the-box thoughts on how to solve the Israeli-Palestinian conflict. Is Simon Cowell Starting to Prepare Us for His American Idol Exit?Plus: Eliza Dushku hates wearing clothes. Dollhouse Solves Its Second-Biggest ProblemSo the premise doesn’t make sense — Joss Whedon found a way to make it work! Eliza Dushku Optimistic About the EconomyPlus: Stevie Wonder offers baby-making services to the Obamas. Ed Helms to Save the UnionPlus: Eliza Dushku firms up her post-’Dollhouse’ plans. How Long Will Dollhouse Survive?Ratings for the series premiere were pretty much as bad as predicted. So should Whedon fans start mailing dollhouses to Fox yet? Jean-Claude Van Damme Is All About the Art, ManPlus: Mark Wahlberg threatens violence against Jeremy Piven–bashers. Dollhouse Set Is Pretty Cool and All, but It’s No Silver SpoonsYou spend $1 million on a set and you don’t include a toy train? For shame! Fox President Kevin Reilly Damns Dollhouse With Faint PraiseFriday-night time slots are the kiss of death for episodic drama. ‘Dollhouse’ Trailer: Is Joss Whedon Winning?Whedon fans are probably rightly worried about all the changes Fox demanded — but this still looks like pretty much the same show. Spoil Yourself for Joss Whedon’s New Show Months EarlyThe heavens parted and the Buffyverse rejoiced last week as Whedon’s new series, ‘Dollhouse,’ started production at Fox. Joss Whedon Returns to TV — and Brings Faith With HimPlus industry news on Julia Roberts and Clive Owen, Meryl Streep and Julia Child, and Mulder and Scully.